The County Assessors office is responsible for estimating the market value and determining the legislative classification of all property in Beltrami County for real estate tax purposes. Each Township and City hires a licensed assessor. The Township/City Assessor will physically view property at the minimum of every fifth year, but revalue property each year based on a guide from the County Assessor. The Township/City Assessor also classifies each parcel, based on its use, each year. 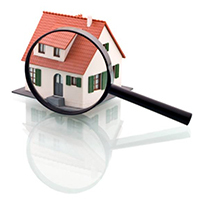 The guide used by the Township/City Assessor to determine the estimated market value is developed through an analysis of real estate sales, and the characteristics of the properties which sold. The guide is based on median sales prices. Properties which are occupied as a primary residence by the owner, or a qualified relative of the owner may qualify for homestead. Occupants should contact the County Assessors office and fill out a homestead or relative homestead application. Homestead is a property tax reduction intended to keep taxes lower on owner/qualified relative occupied homes. The estimated market value and classification are based on the condition and use of the property on January 2nd of each year. A notice of values and classes are mailed to the property owner in the spring of the year. If they disagree with the value or classification or have a question on the notice they received they should contact this office or their Township/City Assessor. If they feel they need to appeal the value or class further, there is information on the Notice as to the process. After the appeal process, the values and classifications are set and used for property tax for the following year.